Late last month, SOILWORK released their 10th studio album, The Ride Majestic, via Nuclear Blast Records. The album charted on Top Albums lists in several countries, including #20 (Rock) & #26 (Indie) in the UK, #22 (#4 Rock/Metal) in Sweden, #30 in Germany, #37 in Austria, #45 in Australia, #49 in Switzerland, #55 in Canada, #103 in the United States and #107 in France. 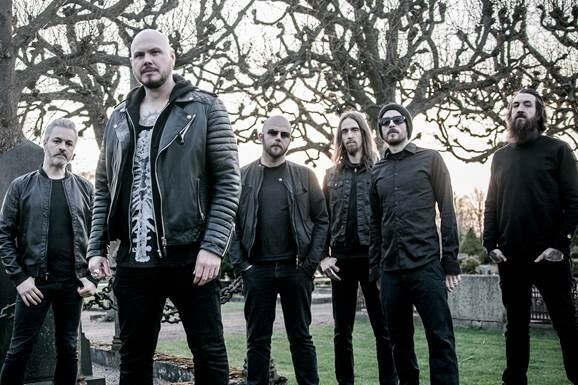 SOILWORK recently announced their upcoming direct support position on the “We Sold Our Souls to Metal” U.S. tour in support of headliners Soulfly, with additional special guests Decapitated and Shattered Sun. The tour kicks off in Los Angeles, CA on September 30th. Fans can purchase VIP upgrade packages for this tour via www.soilwork.soundrink.com – the packages are just $50 in advance or fans can purchase at SOILWORK’s merch booth. -30% discount coupon for online store and an entry to win a custom painted ASG guitar signed by the band with the The Ride Majestic artwork (winner will receive a call from the band to be notified also film the call and share on social media). After the US tour, the band will head back to Europe for their “The Tour Majestic” headline run, with support from Hatesphere. See below for these and additional international tour dates. 10/29/2015 – Dallas, TX @ Gas Monkey Live!